A Facebook post by Malaysian user Verna Ling with tips for Malaysians planning to work in Singapore has gone viral. The post, though written in a listicle format, is surprisingly poetic – especially when she talks about her personal experience when she first came to Singapore alone at 19 to work. Her post has garnered over 1,900 reactions and has been shared over 766 times at time of writing – quite an impressive feat for 3 day old Facebook post. 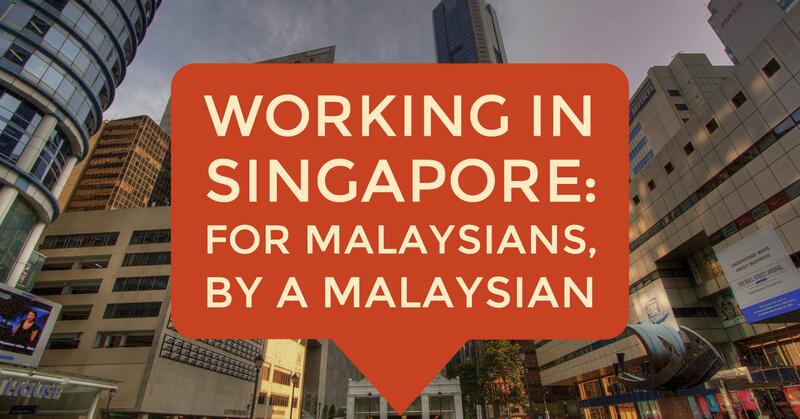 She shares with her readers (or, ‘friends’, as she refers to them) the reality of working in Singapore – from the amount of money needed to survive, to the types of permits foreign workers hold, to asking if their urge to work in Singapore is simply for pride’s sake, since scrimping and saving in Malaysia might earn them similar rewards. I still remember I was 19 when I came to Singapore alone for work. The first job had a basic salary of S$700 – I had to OT to death to get the salary I’m earning now. eating instant noodles for 3 consecutive weekends and pretending I’m not hungry is also a lie I tell myself. you need to work at least 3 times as hard! I’d suggest you find another route if you want to enjoy and yet earn 3 times the salary. do you also realise that by earning and saving back in Malaysia, you can get them too? Did anyone force you to come to Singapore to work at gunpoint, or is it simply for your pride? Please do not use your Malaysian educational background to ask for a higher salary: do you think Singaporeans have lower education levels? Or do you think they aren’t as skilled in verbal communication? If you came to Singapore for a friend/relative/significant other with plans to live with each other, you’re simply wasting your time. Yes, you thought about the other person, but will the other person think of you? *Bosses very rarely hire sisters or friends because when one runs, the other does too. Don’t be limited by locations, Singapore’s public transport makes travel very convenient. “I want to find a place in Yishun because my boyfriend lives there”, “I want to find a place in Jurong, so I can live between M’sia and S’pore”, “I want to find a place near town, it feels more high class”. Why don’t ask for a job at the house next door then? When starting at your job, never ask your boss to lend you money, even if it gets tough. Once you ask, you’re done for. Malaysians need to be 18 years old before coming to Singapore to work. You must have a work permit before starting work, or else your boss and colleagues would be fined. You can’t do part-time jobs with your permit – if found out, you’ll be fined. You need to have a medical examination before applying for a permit. Those with diabetes, heart disease and other serious illnesses would not be allowed to get their permits. Most importantly, get appropriate spectacles if you are short-sighted. The company needs 2 Singaporeans’ CPF before they can hire 1 Malaysian. What is considered a pass in SPM: This is subject to approval. Even though the Malaysian government says that failing Bahasa Melayu and Sejarah means that you don’t possess SPM, an official from Ministry of Manpower (MOM) would sometimes accept it on a case-by-case basis. *You must have at least one pass. The transcript must be original with the green-coloured paper and the education ministry’s logo. Transcripts on white paper will not be accepted. A diploma in welding can only be used to reduce levies in a welding factory! Renting a HDB in Singapore: 1 room costs around S$700-1,000; sharing a room with 1 person would cost around S$250-350. The landlord will definitely ask for your temporary permit or passport – this is because they need to declare to HDB before you can apply for a formal permit. Regarding WP, SP, EP: WP is the lowest grade of permits (you can apply with even with Primary School education); SP is when your monthly salary is at least S$2,200 (Diploma); EP is when your salary is S$3,500 and above (Diploma/Degree). If there are any mistakes, please correct me, and do message me if there are any queries! I’ll help when I can, because Malaysians should help each other! Malaysian readers who have experienced working in Singapore, do you agree with her statements?